Reliance Communications (RCom) has said consumers can own the 16GB models of iPhone 5S and 5C by paying Rs 2,999 and Rs 2,599 per month, respectively, for 2 years. The firm said that no down payment is required to purchase Apple's new phones. "The company has announced two game-changing offers, just Rs 2,599 per month for the iPhone 5c and Rs 2,999 per month for iPhone 5S, both for a duration of 24 months, which include handset cost, unlimited local and STD calls, SMS, national roaming and 3G data," RCom said in a statement. It added that users will not receive any usage bill for 24 months, as the monthly payments include all usage charges. Customers would be required to pay additionally for international calls and international roaming, RCom said. RCom has also tied-up with select credit card providers for its latest offering. The company said the offer is part of its efforts to bring more smartphone users to its 3G network, which will increase postpaid customers to its customer base and further cement its position as a data services provider. 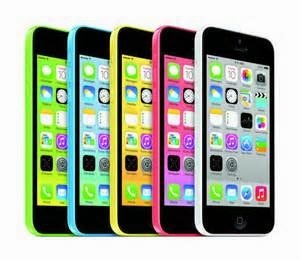 Customers can buy the new iPhone 5S and iPhone 5C at any Reliance outlets in the company's 13 3G circles, it said.